"Oh, so you crochet?" "My nan used to crochet blankets, do you?" Until very recently I would have categorically said no, definitely not. I find them boring, they take waaay way longer than you think, the initial enthusiasm wanes quite quickly and any attempt has previously ended up in a basket in the corner gathering dust. But then I actually finished a blanket, the ripple blanket to which I wrote my ode, and whilst I didn't love crocheting it after the first initial ripples I love using it now. When I'm all cosy with a cuppa under my blanket I forget the bad bits and the frustration and have begun to understand why people crochet blankets- the thought of others (or themselves) enjoying them later, that feeling expertly explained by the Danes by the word 'hygge'- go look it up, you will love it too. 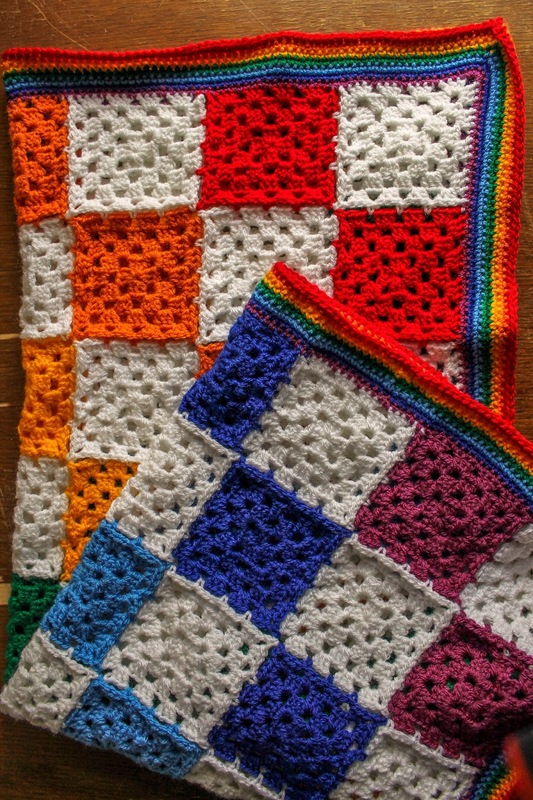 Yes, they may be a boring project for some but for many people the repetitive hooking of stripes or granny squares is the perfect antidote to a stressful day at work, or running after the children, or it may be just enough movement of the hands to provide relief from painful arthritis or to give your hands something to do when you are just plain restless. Never again will I underestimate the power of the crochet blanket! 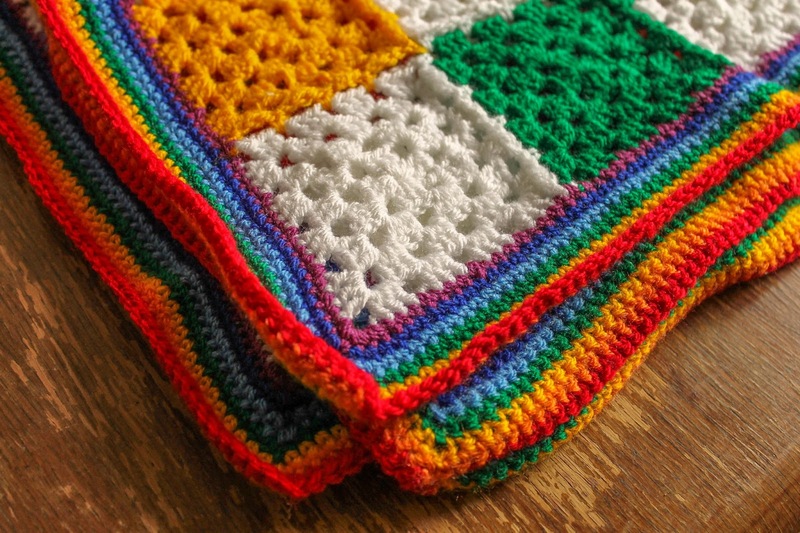 Now to introduce 'The Disco Rainbow Blanket'. For my Birthday I got a pair of tickets for Cosmosis Festival, a one-day psychedelic rock music festival. Sleaford Mods were not a band I was interested in seeing, and nor was I really into the little bit I saw whilst waiting at the bar but what I did notice was the light show. Lots of litle squares, all different colours and in different patterns were projected across the wall. 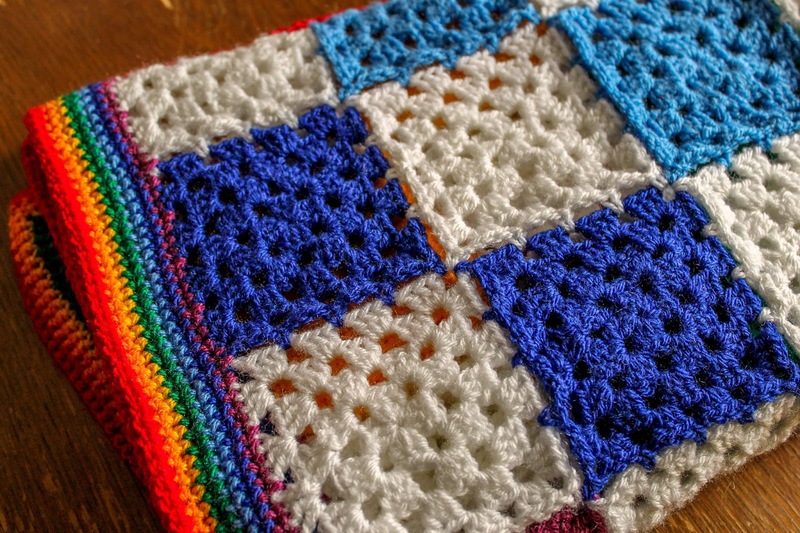 I knew instantly that I wanted to incorporate this into crochet somehow, and it couldn't be anything other than a blanket. Only a small one- I'm still not 100% convinced. I love it - does it rainbow fade all the way across? 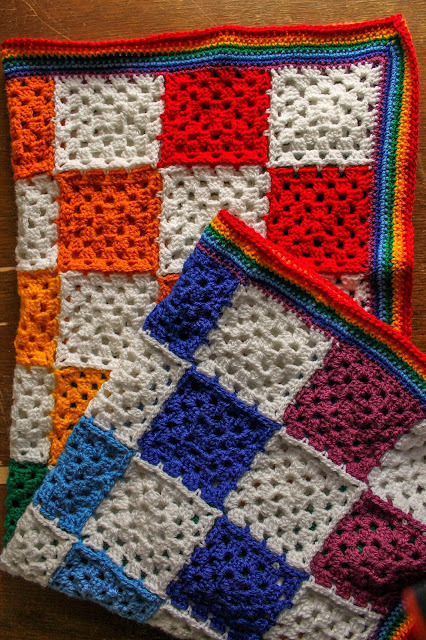 And crochet blankets are awesome - and someday I will actually finish mine!! YoBit allows you to claim FREE CRYPTO-COINS from over 100 unique crypto-currencies, you complete a captcha one time and claim as many as coins you need from the available offers.